For three generations, the Price Funeral Chapel, Inc. has been a family owned and operated business for more than fifty years. Del and Fay Price established Price Funeral Chapel, Inc. in 1961. In 1979, they took a leave of absence to serve a full-time Church Mission in Northern Ireland. Since that time, Ben and Jody Price have been responsible for the daily operations. Del and Fay Price have returned after serving a second full-time Church Mission, this time two years in Uganda, Africa. Ben and Jody Price were raised in the community and attended San Juan and Foothill High Schools respectively. Ben attended American River College, graduated from Brigham Young University and San Francisco College Of Mortuary Science with honors. Jody attended Ricks College and Brigham Young University. Ben and Jody’s daughter, Michele, graduated from Bella Vista High School and attended American River College and has served as the Secretary-Receptionist. 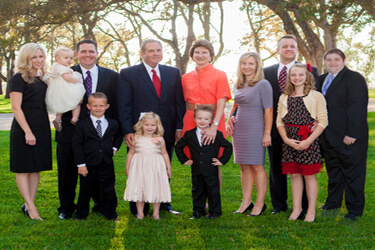 Michele and her husband, Ron Burnett, are the parents of Kayleigh and Jacob and live in Antelope, CA. Ben and Jody’s son Jeremy, after completing a Church Mission in the Canary Islands, graduated from Brigham Young University and the University of the Pacific, McGeorge School of Law, with Distinction. Jeremy is now practicing law in Roseville, CA. Jeremy and his wife, Angie, are the parents of Luke, Addie and Lily. Ben and Jody’s youngest, Kyle, after completing a Church Mission in Salt Lake City, UT, is attending American River College. Kyle is working at Price Funeral Chapel, Inc. and is living in Orangevale, CA. The Price family lives in the community and care about the people who live here also. The Price Funeral Chapel, Inc. offers a full spectrum of funeral services. Complete funeral services in our lovely chapel or at the family's church are available. Those who prefer an alternative to the traditional service will find all of the possibilities available for their consideration. The Price Funeral Chapel, Inc. also offer cremation services of all varieties. The Price Funeral Chapel, Inc. is experienced in arranging services and interments throughout the country. An important, complimentary service offered by the Price Funeral Chapel, Inc. is pre-need planning. You may ask the Price Funeral Chapel, Inc. to record statistical information and personal preferences in advance so they may respond at the time of need precisely as you desire. Through pre-planning, you may gain peace of mind and ease the burden of decision making from the shoulders of your loved ones. Complementary planning guides are available to assist you. The Price Funeral Chapel, Inc. offers the California Master Trust, a pre-need funeral funding service used by more than two hundred and fifty mortuaries in California. They also offer the Forethought Life Insurance with its flexible and valuable benefits. You may gain peace of mind by having your final expenses purchased at today's cost, avoiding inflation. We invite you to contact the Price Funeral Chapel with any questions or concerns you may have. You may also learn more about the Price Funeral Chapel, Inc. or contact our family through our website. 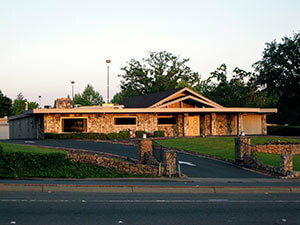 The Price Funeral Chapel, Inc. is located at 6335 Sunrise Blvd., just North of Greenback Lane, Citrus Heights, CA, 95610.